Jeffrey Stafford, CFA, is director of energy and utilities research for Morningstar. 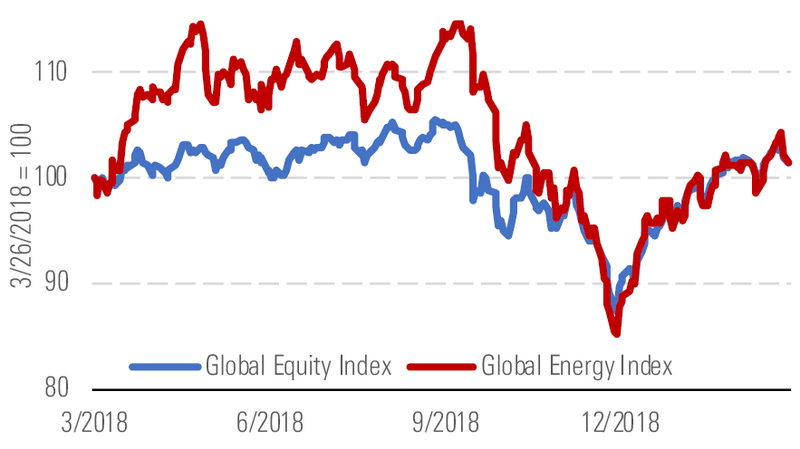 The Morningstar Global Energy Index has rebounded along with broader equity markets since the beginning of 2019. The Energy Index is up 14% year to date through March 25 compared with an 11% gain in the Morningstar Global Equity Index. Rising oil prices, up roughly 29% since the end of 2018 have fueled the strength in energy stocks. Jeffrey Stafford, CFA does not own shares in any of the securities mentioned above. Find out about Morningstar's editorial policies.